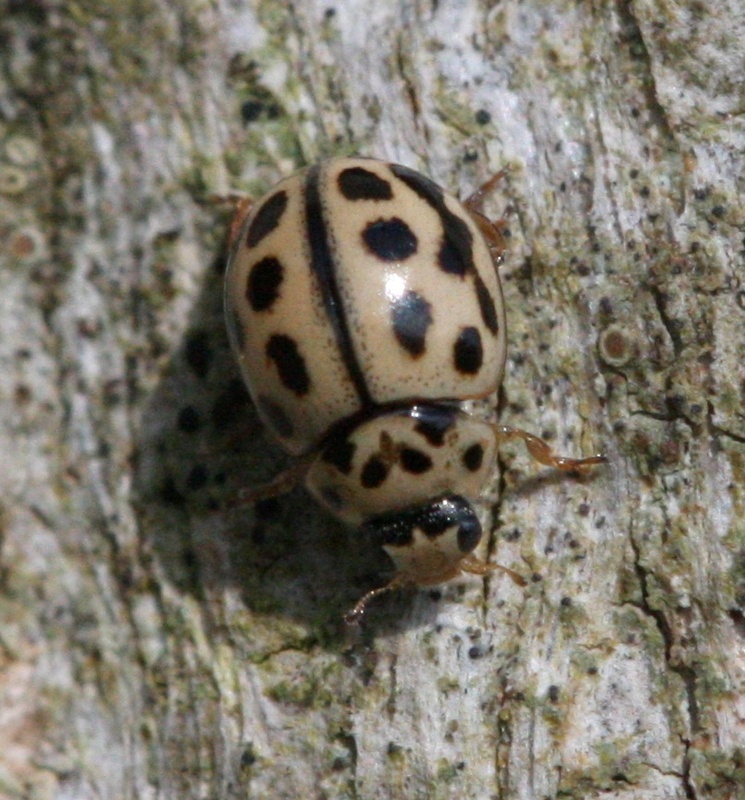 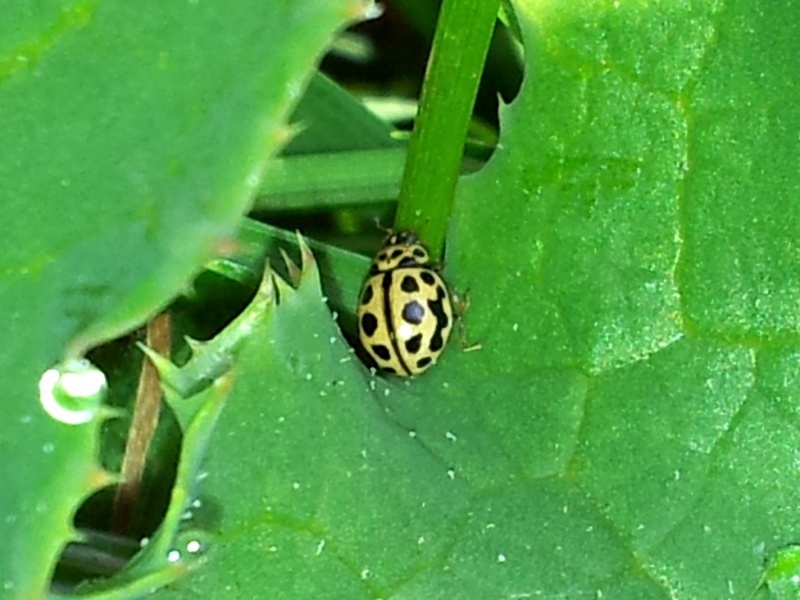 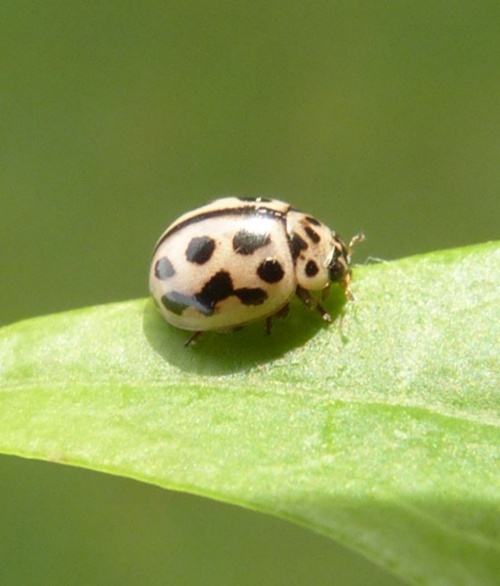 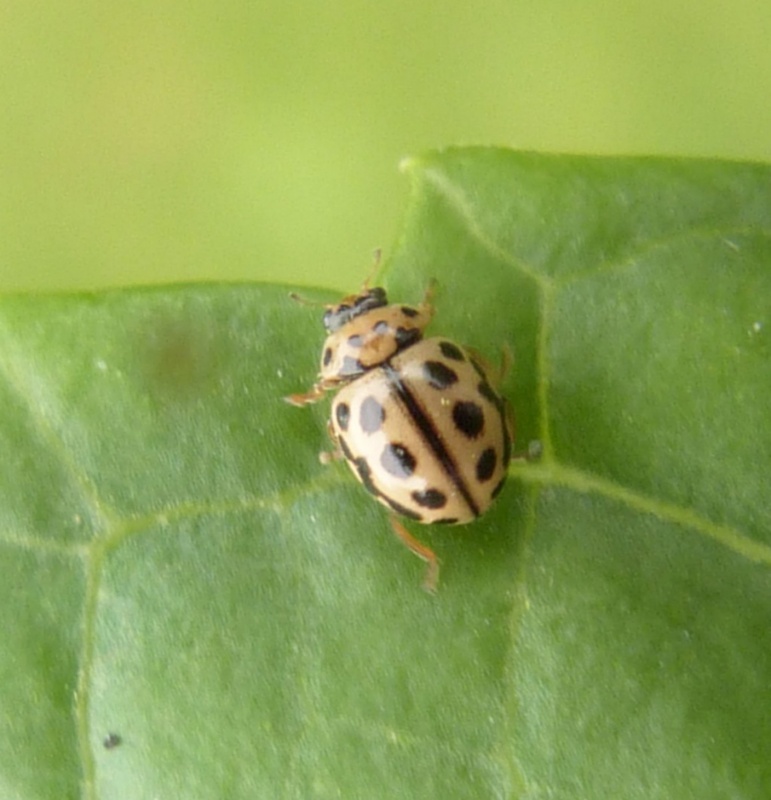 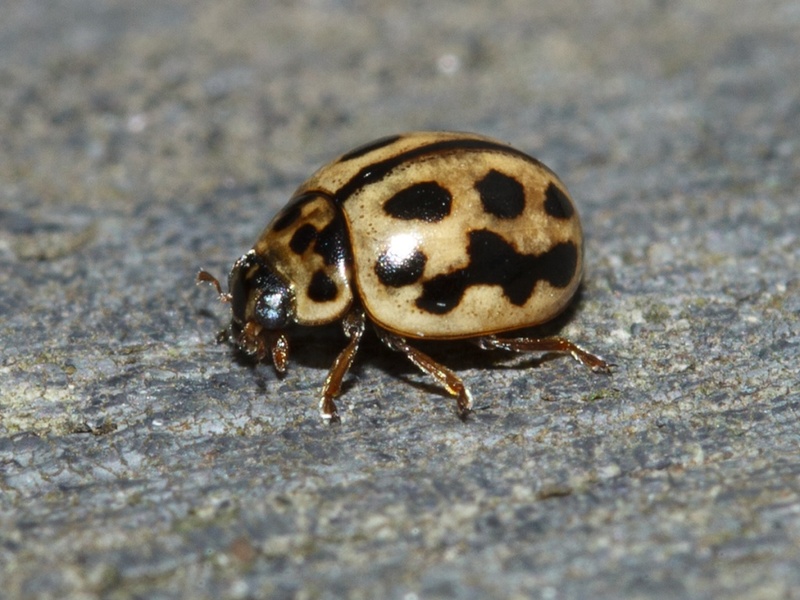 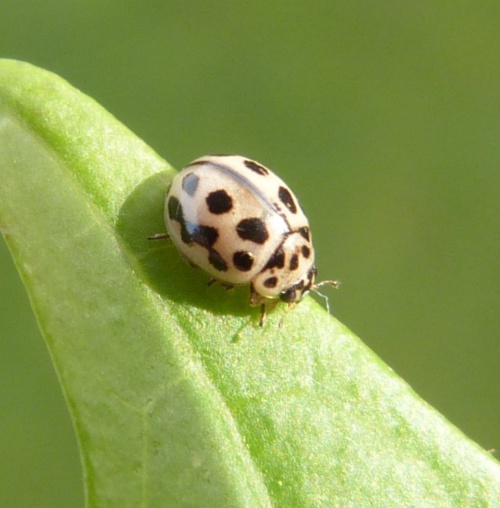 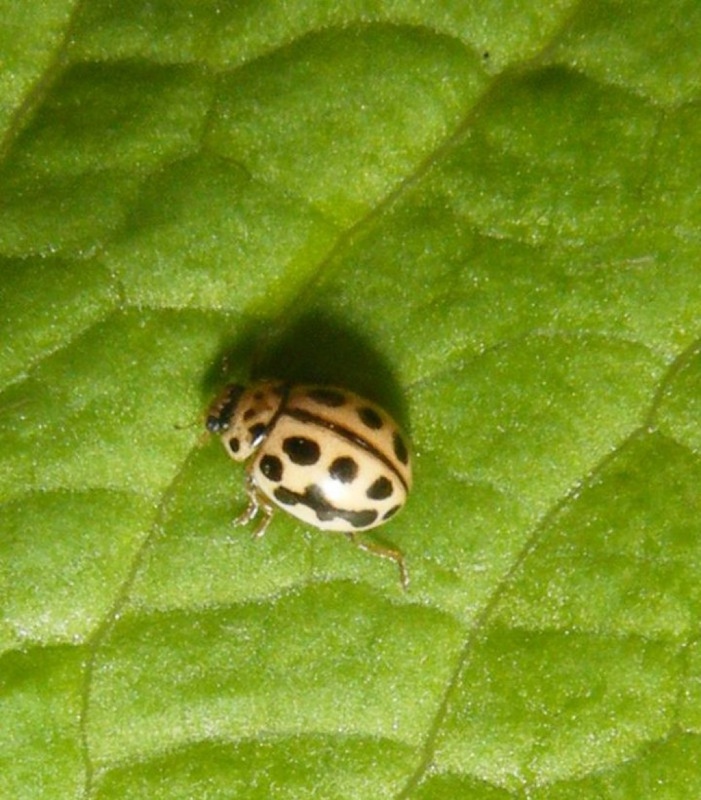 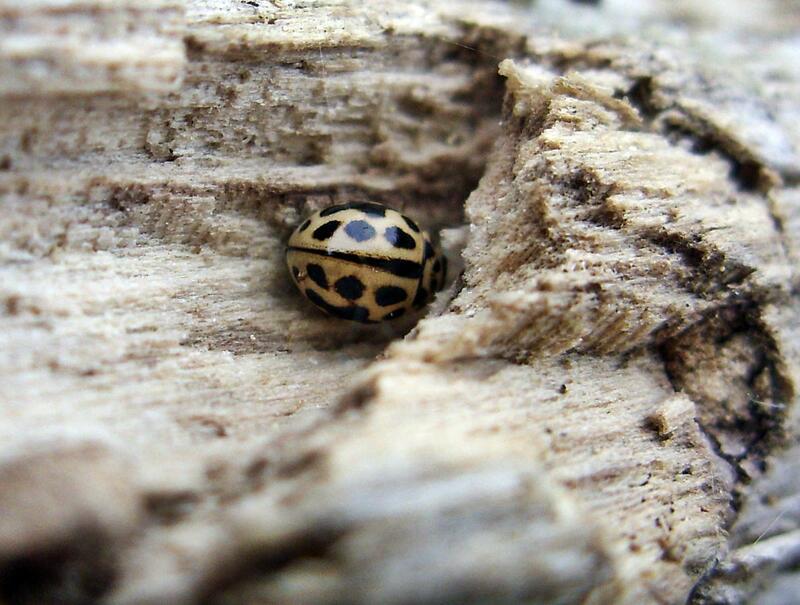 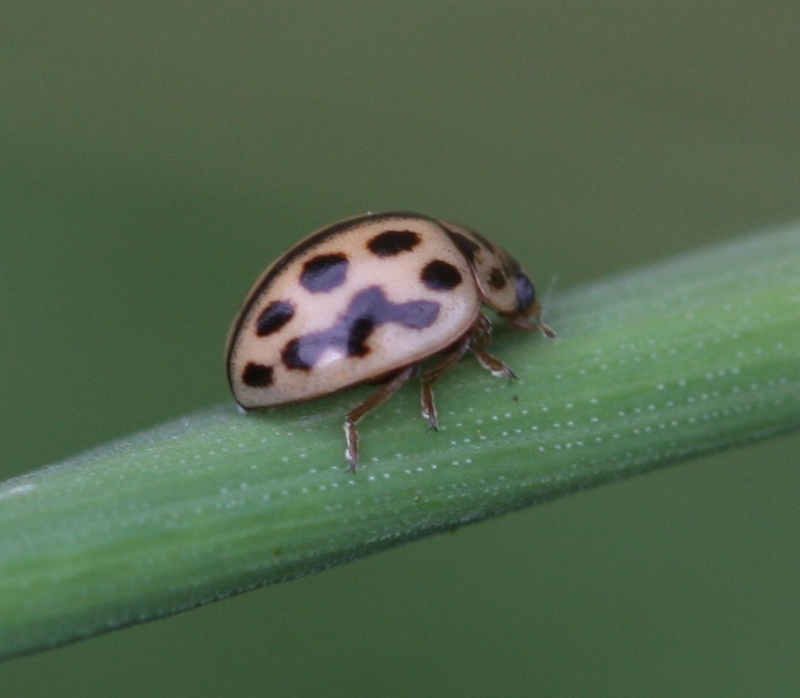 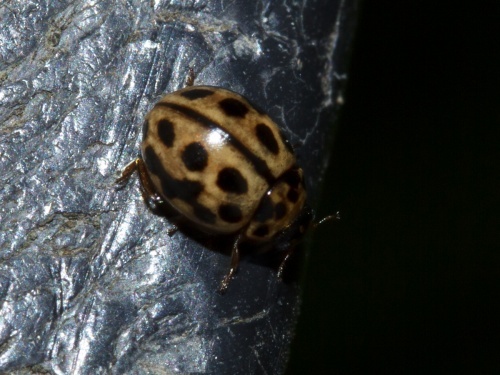 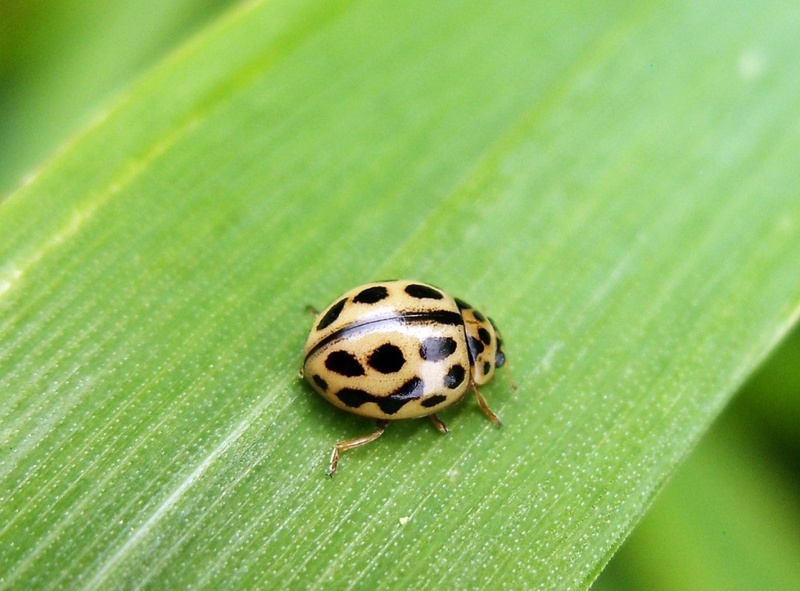 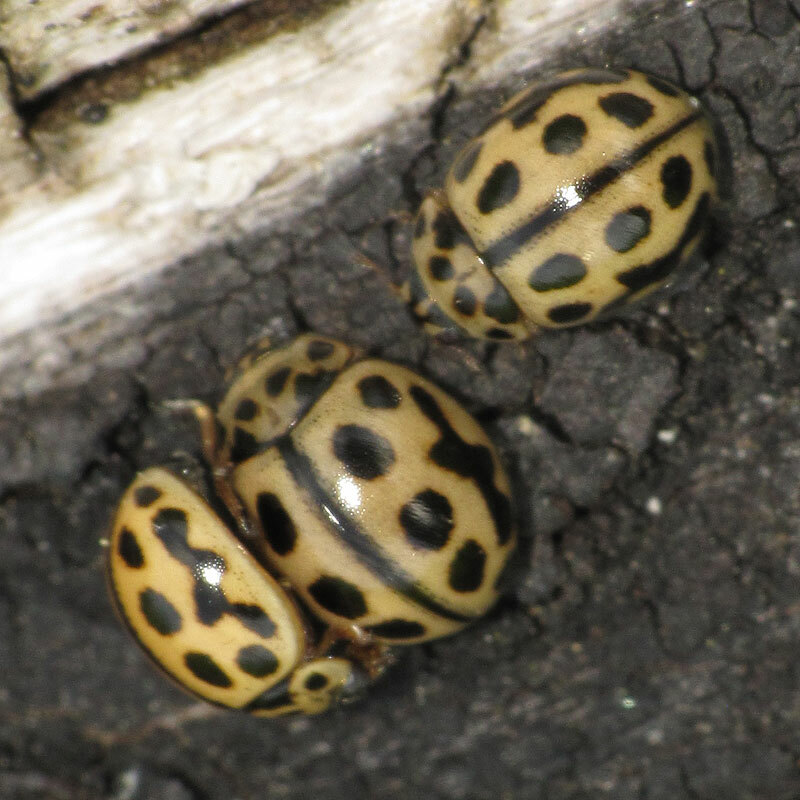 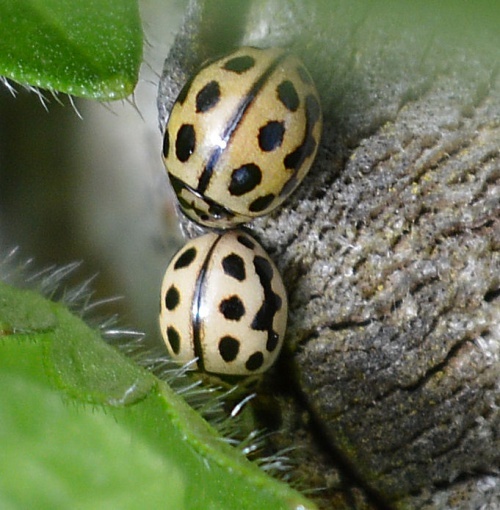 This is a small (3 mm), beige coloured ladybird with black spots. 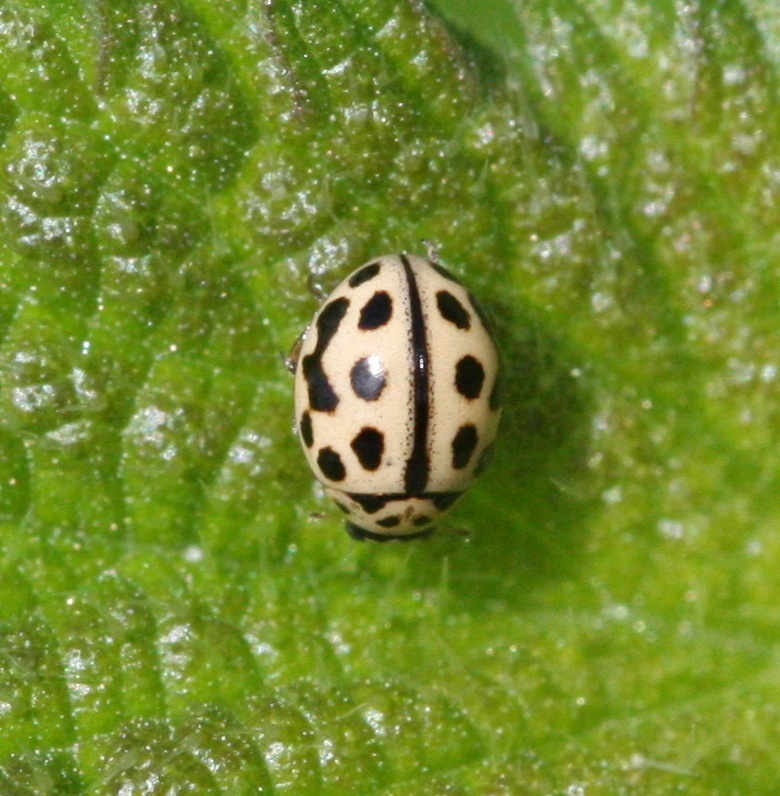 The black centre line is a distinguishing feature (only shared with the 14 spot). 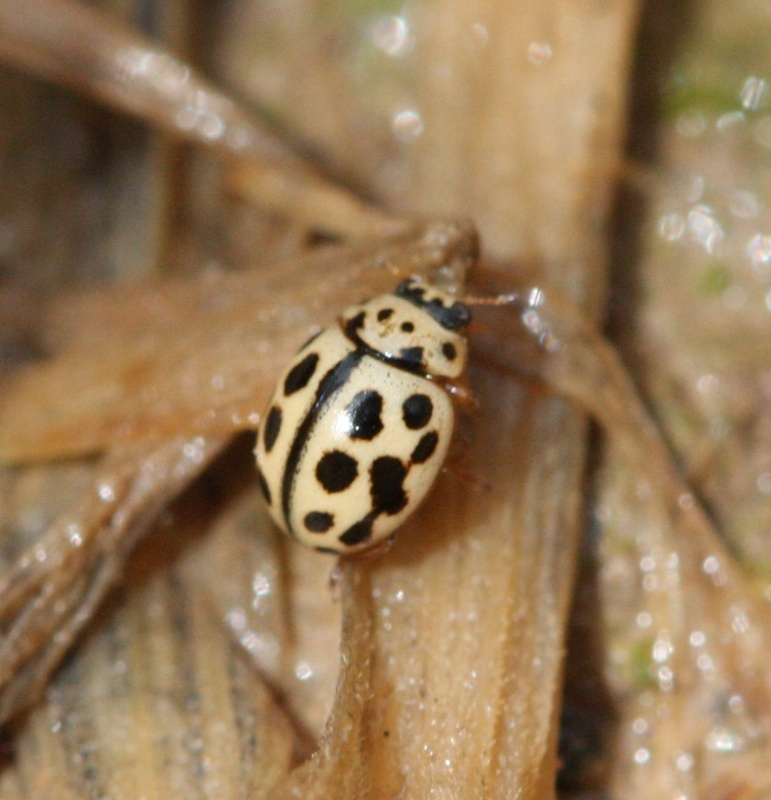 It usually lives in grassland but is easily overlooked. 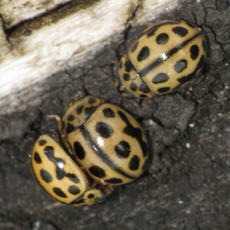 It feeds on pollen, fungi and nectar. Occasional in Leicestershire and Rutland. 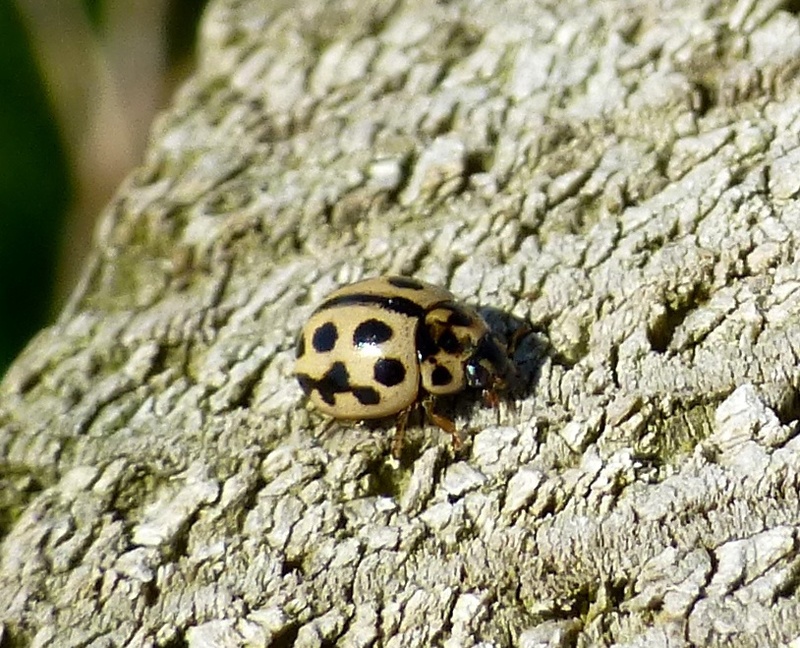 There were a total of 86 VC55 records for this species up to March 2015.